COLUMBIA, Md., Apr. 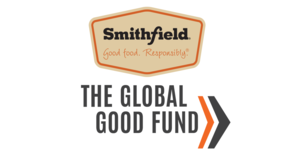 04 /CSRwire/ - The Smithfield Foundation, the philanthropic arm of Smithfield Foods, Inc., and The Global Good Fund, are pleased to announce their partnership to launch the Veterans Leadership Program. The Global Good Fund, a leadership development enterprise built by and for social entrepreneurs, will identify six veteran entrepreneurs to take part in an eight-month program focused on creating sustainable jobs and supporting job search and placement for underemployed and unemployed veterans. According to the Small Business Administration, there are 2.5 million veteran-owned businesses that employ more than 5 million people. While many military leadership traits translate well into business, many veteran entrepreneurs face unique challenges in growing and scaling their businesses. Funded by a $400,000 grant from the Smithfield Foundation, the Veterans Leadership Program will support the needs of its participants through personalized leadership development, executive mentoring, and targeted capital to invigorate leadership growth. Smithfield has a long history of supporting veterans and military families through volunteerism, food and charitable donations, and partnerships. In 2016, Smithfield introduced two new veterans' initiatives — Operation 4000! and Smithfield Salutes. Smithfield Salutes is an employee engagement program that helps veterans working at Smithfield in their transition to civilian life. Through Operation 4000!, Smithfield is working to employ 4,000 veterans—10 percent of its U.S. workforce—by 2020. To learn more about Smithfield's support of veterans, visit smithfieldfoods.com/veterans. For more information about The Global Good Fund, please visit globalgoodfund.org. Through its Fellowship program, The Global Good Fund invests in the human capital of high potential leaders committed to social impact around the world. Fellows are individually paired with senior business executives who serve as mentors and are provided with seasoned leadership development coaches, assessment resources, a network of peer leaders, content expertise, and targeted financial capital. The Global Good Fund created the 360 MIRROR – the first evidence-based leadership assessment for social entrepreneurs and impact driven corporate leaders – which is available to the public, modeled after the proven tools and services of The Global Good Fund Fellowship since its launch in 2012.